Recently renovated motel room with two double beds with new mattresses. 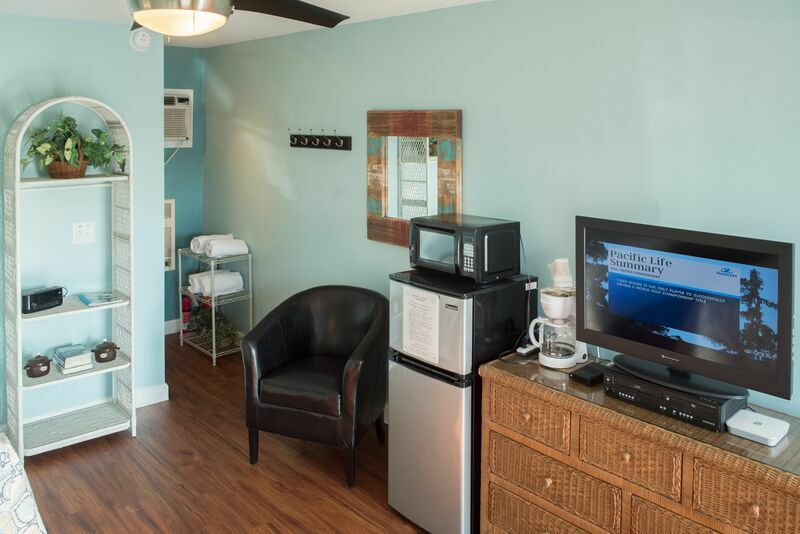 The room has a small refrigerator, microwave, toaster, and coffee maker. Color cable TV and wireless internet, included. Shared laundry facility and pool. Great location on the Island. Condominium is across the street from the beach access. The pier is only a block away for fishing or riding the waves. The Kindred Spirit is a leisurely walk . It is a good place to sit and contemplate the tranquility of the surroundings.